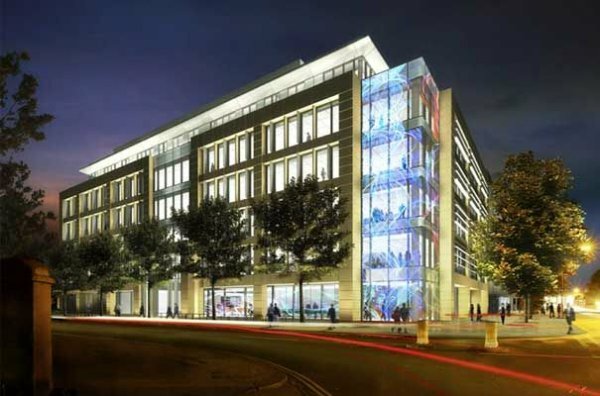 To provide Project & Cost management services, act as Employer’s Agent and manage the relocation of Microsoft’s Headquarters to a new bespoke building in Cambridge. The build required Cat A, B and C fitout. It was a complex build, with 3 three levels of basement, extensive MEPH services and IT systems along with backup generator and UPS. The building specification was for an enhanced shell and core fit out of 80,000 sq ft over eight levels. The fit out included bespoke labs, auditorium, café and highly cellular planning. We were then required for relocation management to move staff and equipment from the old site to the new site without any interruptions to the client’s business. Alongside a complex build this project had very tight delivery timescales, coupled with a very specific brief and requirements. Included a large ICT suite with servers and other complex IT equipment, all of which required moving to the new facility. The client required zero downtime during the move, adding significant complexity to the programme which included running two sites simultaneously. Finally, there was a zero-defect handover requirement. As Project & Cost Managers for this delivery we provided support right down to the micro detail. We were on site for a minimum of 3 days a week over the 19-month delivery period ensuring the project was handed over to the client’s specification. Managing both the developer and the assembled professional team was a vital part of our work to ensure a zero-defect handover. We facilitated the significant amount of coordination between various parties and the client to ensure all specifications were met, on time and on budget. Our Relocation Management team were instrumental in the successful delivery of this project. Their early engagement in the project ensured that on practical completion and handover of the new office it was ready for occupation. Staff were able to move to their new office unabated and ready to work. Aberley Relocation Management and Project and Cost Management ensured the relocation was fully integrated into the delivery process.